Johnson County Adult Education proudly announces 2016 scholarship winners at graduation ceremony on May 10. These scholarships ease the financial burden of higher education and provide greater access to higher education in the community. 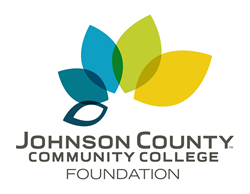 Johnson County Adult Education (JCAE) recently announced several scholarship awards that came from Johnson County Community College Foundation, which strives to provide access to Johnson County Community College (JCCC). JCCC has partnered with the JCCC Foundation and JCAE for the past several years to increase scholarships available to top GED graduates. “These scholarships ease the financial burden of higher education and provide greater access to higher education in the community," said Kate Allen, executive director of the JCCC Foundation. In fact, the JCCC Foundation has been able to award over $1 million each year for the past two years to more than 1,000 students. Some of the students are GED program grads while others are students from the community. To support JCCC Foundation scholarships, please call (913) 469-3835, or visit http://www.jccc.edu/foundation. Johnson County Community College Foundation, to further the mission, strategic goals and initiatives of Johnson County Community College, provides access to the college for all students; advances excellence through the development of community leadership, business partnerships and financial support; and promotes cultural activities to enrich the college and the community. The JCCC Foundation serves as the fundraising arm of the college, and is a separate 501 (c)(3) tax exempt organization established in 1971 to provide funding for student and college needs not otherwise covered by tuition and tax revenues. The Johnson County Adult Education program allows students to improve their skills in basic reading, writing and math, and prepare for the GED® test. The program also offers English as a Second Language (ESL/Life Skills) classes at the student’s level, whether they speak little or no English or speak English well. For more information, please call (913) 469-7621.